Desborough Hall is our largest room and the original church building! It is located on the ground floor with easy access for wheelchairs. The Hall can be accessed through an internal door in the centre or via its own entrance from Desborough Road. Wheelchair access is available from either entrance. 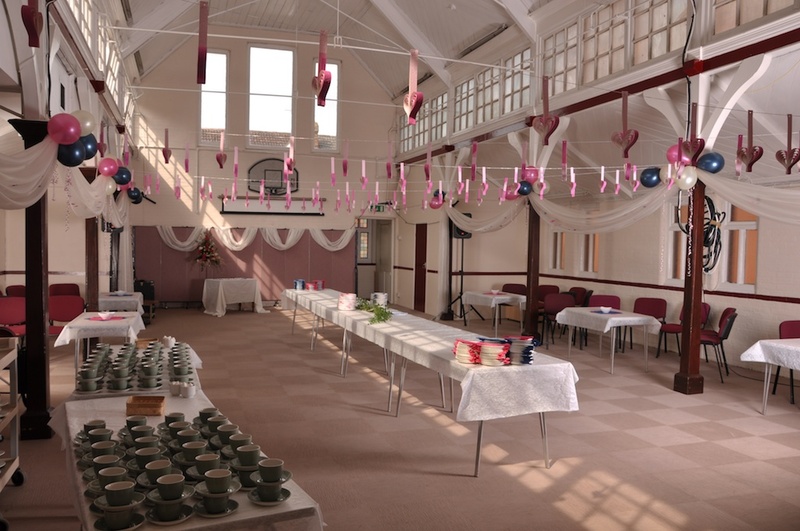 The internal door to the Hall is close to the kitchen serving hatch so ideally located for events when food is being served. The Hall seats 50 in boardroom style and up to 130 in theatre style. It is very popular for community events and large meetings. It also has a piano.